In June 2012, the European Food Safety Authority (EFSA) approved, for the first time, genetically engineered stacked soybean MON87701 × MON89788, produced by Monsanto and sold under the brand name Intacta, for import and use in food and feed in the EU. The soybeans combine the expression of an insecticidal Bt toxin, Cry1Ac, present in the parental event MON87701, with herbicide resistance to glyphosate from parental event MON89788. Dear friends, Donald Trump’s candidacy – with its simplistic policy positions and its undercurrent of racism and sexism – left most of us believing he couldn’t possibly win. Now his victory is a visceral shock from which many have still not recovered. To better understand what happened – and why – we need to broaden our horizons. If we zoom out a bit, it becomes clear that Trump is not an isolated phenomenon; the forces that put him in the White House have been growing throughout the Western world for some time. Earlier this year, the Brexit vote in the UK was also based on fear and narrow-minded nationalism, not on a sophisticated critique of EU economic policy. Right-wing extremism is on the rise in many other parts of Europe; even in my native country of Sweden, where racism was all but absent during my younger years. If we zoom out even further, a broader pattern emerges. Almost everywhere in the world, unemployment is increasing, the gap between rich and poor is widening, environmental devastation is worsening, and a spiritual crisis – revealed in substance abuse, domestic assaults, and teenage suicide – is deepening. By looking from a global perspective it becomes apparent that these many crises – including the rise of right-wing sentiments – share a common root cause: an increasingly corporatized and globalized economic system that is devastating not only planetary ecosystems, but the lives of hundreds of millions of people. This news will be of particular interest to those who have read about animal factory-farming methods (see the work of Tracy Worcester) and those who were earlier stunned by the exposure of systemic pesticides in ‘Roots of Evil’ (The Guardian 29.4.95) by Joanna Blythman. In 2016, Scheherazade Daneshkhu, Consumer Industries Editor for the Financial Times, reported that home deliveries of organic vegetables have almost returned to pre-recession levels - £2.1bn in 2008.There has also been a higher demand for organic jam, tea, oils, organic cotton clothes and beauty products. She cited the Soil Association’s 2016 Market Report, free to members, which recorded that sales of organic products rose last year by 4.9% to £1.95bn in the UK - the third year of consecutive growth for the UK organic sector, now worth £1.95bn. Sales of non-organic food dropped by 0.9%. The Organic Research Centre is the UK’s leading independent research centre for the development of organic food production and land management solutions to climate change, soil and biodiversity conservation and food security. Its detailed financial report on organic farming in England and Wales for 2014/15, published two months later also showed organic farm profits increasing, with organic dairy farming outperforming conventional dairy farming in England and Wales . Farmers in India’s poorest region are recording record rice yields by growing organically, debunking once and for all the myth that GMOs are necessary to feed the world’s growing population. ‘Direct From the Farmer’ Gains Ground! The new government in Poland is responding to our campaign to free-up the drastically repressive food and hygiene regulations that have dogged the Country’s small and medium sized farmers for decades. Up until now, governments have outlawed the sale of on-farm processed foods unless farmers establish their operations as a separate business and in a separate hygienically sanitised building; something that is unaffordable to the great majority of small farmers whose holdings typically range from between 3 and 10 hectares. 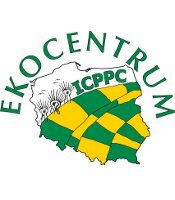 However, an International Coalition to Protect the Polish Countryside campaign to change this position and to free-up Poland’s 1.3 million small family farms to operate autonomously - and to direct-sell their produce locally - is gaining momentum and is not, thus far, seen as being at odds with the agenda of the new government.